These EtherStax I/O modules provide a rugged, high-density, and high-speed solution to interface a large quantity of analog input signals to SCADA and distributed I/O systems. 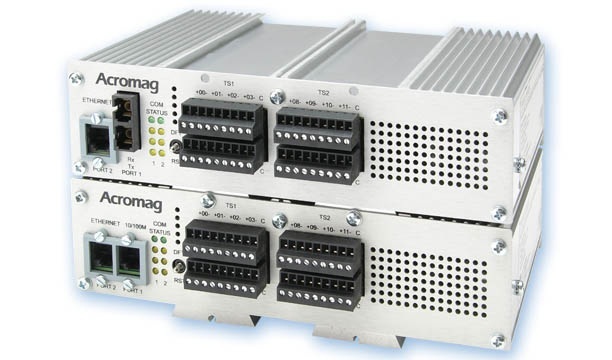 Each unit converts up to 64 single-ended analog voltage signals from various sensors and instruments for transmission to an Ethernet-based control network. Typical applications include process control, automated manufacturing, remote data acquisition, test and measurement, embedded computing, and supervisory monitoring systems.